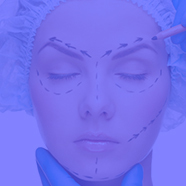 As an internationally recognized authority in plastic surgery field and a board certified plastic reconstructive surgeon, Dr. Tunc Tiryaki is director of CELLEST Plastic Surgery Clinic in Istanbul and Tiryaki Surgery in London. Dr. Tunc Tiryaki is the Chair of Humanitarian Programs of ISAPS (International Society of Aesthetic and Plastic Surgeons) and founder of ISAPS-LEAP Surgical Relief Teams, who conduct volunteer reconstructive surgery operations all around the world. Having many international publications and patents in plastic surgery, Dr. Tiryaki is the Editor of the recent Inverse Abdominoplasty textbook as well as the Section Editor of the international Aesthetic Plastic Surgery Journal. He is also the co-author of Stem Cell Therapies chapter a major two-volume textbook in plastic surgery. As an international pioneer in in regenerative plastic surgery, Dr.Tiryaki has developed his own out-patient procedures for nose reshaping and Endo-lifting method for less invasive facial rejuvenation and has his own patents in the field of aesthetic regenerative medicine. Due to his widely acknowledged expertise, Dr. Tiryaki is a constant key-speaker at congresses around the world about Body contouring, stem cell therapies, Endo-lifting and minimally invasive treatment options. Recognized by his peers and patients as one of the best doctors in Europe, Dr.Tiryaki has received many awards and honors one of them being the Best Paper Award of the World Congress of Aesthetic Surgery Society in 2008 in Melbourne. Dr.Tiryaki has joined surgical volunteer missions to Syria, Kazakhistan, Georgia, Sudan and has led the rescue mission in 1999 earthquake as well as Van earthquake in 2011 in Turkey. He is the recent program director for reconstructive missions to Jordan to help the refugees. Dr. Tiryaki serves as the Secretary General of the Turkish Aesthetic Surgery Society and is an international member of ASAPS (American Society for Aesthetic Plastic Surgeons), ASPS (American Society of Plastic Surgeons) and ISAPS (International Society of Aesthetic and Plastic Surgeons). Percutaneous face lifting: myth or reality? Stem cell enriched fat injections vs deep fat injections: what really matters? Percutaneous nose suspensions: breaking the dogmas! Thread lift: when and how? Percutaneous facelift: myth or fact?